A wireless sensor network (WSN) uses a number of autonomous devices to cooperatively monitor physical or environmental conditions via a wireless network. Since its military beginnings as a means of battlefield surveillance, practical use of this technology has extended to a range of civilian applications including environmental monitoring, natural disaster prediction and relief, health monitoring and fire detection. Technological advancements, coupled with lowering costs, suggest that wireless sensor networks will have a significant impact on 21st century life. 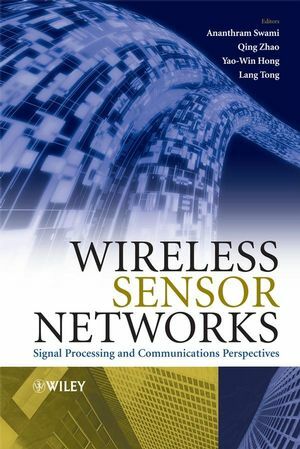 The design of wireless sensor networks requires consideration for several disciplines such as distributed signal processing, communications and cross-layer design. 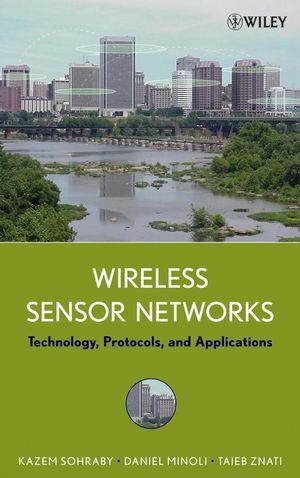 Wireless Sensor Networks: Signal Processing and Communications focuses on the theoretical aspects of wireless sensor networks and offers readers signal processing and communication perspectives on the design of large-scale networks. 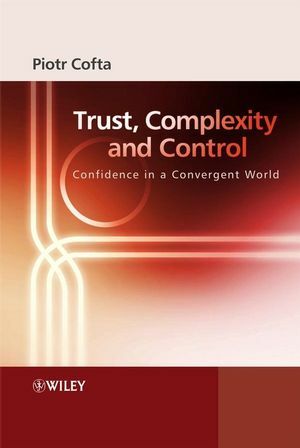 It explains state-of-the-art design theories and techniques to readers and places emphasis on the fundamental properties of large-scale sensor networks. Approaches WSNs from a new angle – distributed signal processing, communication algorithms and novel cross-layer design paradigms. Applies ideas and illustrations from classical theory to an emerging field of WSN applications. Presents important analytical tools for use in the design of application-specific WSNs. Wireless Sensor Networks will be of use to signal processing and communications researchers and practitioners in applying classical theory to network design. It identifies research directions for senior undergraduate and graduate students and offers a rich bibliography for further reading and investigation. Ananthram Swami, Army Research Laboratory, USA. Qing Zhao, Assistant Professor, University of California, USA. Yao-Win Hong, Assistant Professor, National Tsing hua University, Taiwan, ROC. Lang Tong, Professor, Cornell University, USA. Part I. Fundamental Properties and Limits. 2. Information-theoretic Bounds on Sensor Network Performance (Michael Gastpar). 2.4 The Price of Digital Architectures. 2.5 Bounds on General Architectures. 2.6 Concluding Remarks and Some Interesting Questions. 3 In-Network Information Processing in Wireless Sensor Networks (Arvind Giridhar and P. R. Kumar). 3.3 Computing Functions Over Wireless Networks: Spatial Reuse and Block Computation . 3.4 Wireless Networks with Noisy Communications: Reliable Computation in a Collocated Broadcast Network. 3.5 Towards an Information Theoretic Formulation. 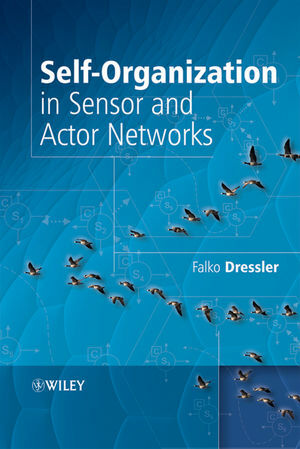 4 The Sensing Capacity of Sensor Networks (Rohit Negi, Yaron Rachlin, and Pradeep Khosla). 4.2 Sensing Capacity of Sensor Networks. 4.3 Extensions to other Sensor Network Models. 4.4 Discussion and Open Problems. 5. Law of Sensor Network Lifetime and Its Applications (Yunxia Chen and Qing Zhao). 5.2 Law of Network Lifetime and General Design Principle. 5.3 Fundamental Performance Limit: A Stochastic Shortest Path Framework. 5.4 Distributed Asymptotically Optimal Transmission Scheduling. 5.5 A Brief Overview of Network Lifetime Analysis. Part II. Signal Processing for Sensor Networks. 6. Detection in Sensor Networks. 6.2 The Classical Decentralized Detection Framework. 6.3 Decentralized Detection in Wireless Sensor Networks. 6.7 Discussion and Concluding Remarks. 7. Distributed Estimation Under Bandwidth and Energy Constraints (Alejandro Ribeiro, Ioannis D. Schizas, Jin-Jun Xiao, Georgios B. Giannakis and Zhi-Quan Luo). 7.4 Estimation of Vector parameters. 7.5 Maximum a Posteriori Probability Estimation. 7.6 Dimensionality Reduction for Distributed Estimation. 8. Distributed Learning in Wireless Sensor Networks (Joel B. Predd, Sanjeev R. Kulkarni, and H. Vincent Poor). 8.3 Distributed Learningin Wireless Sensor Networks. 8.4 Distributed Learningin WSNs with a Fusion Center. 8.5 Distributed Learningin Ad-hocWSNs with In-network Processing. 9. Graphical Models and Fusion in Sensor Networks (M¨ujdat C¸ etin, Lei Chen, John W. Fisher III, Alexander T. Ihler, O. Patrick Kreidl, Randolph L. Moses, Martin J. Wainwright, Jason L. Williams, and Alan S. Willsky). 9.3 From Sensor Network Fusion to Graphical Models. 9.4 Message Censoring, Approximation,and Impacton Fusion. 9.5 The Effects of Message Approximation . 9.6 Optimizing theUse of Constrained Resources in Network Fusion. Part III. Communications, Networking and Cross-Layered Designs. 10. Randomized Cooperative Transmission in Large-Scale Sensor Networks (Birsen Sirkeci-Mergen and Anna Scaglione). 10.2 Transmit cooperation in sensor networks. 10.3 Randomized distributed cooperative schemes. 10.4 Performance of Randomized Cooperative Codes. 10.5 Analysis of Cooperative Large-scale Networks utilizing Randomized Cooperative Codes. 11. Application Dependent Shortest Path Routing in Ad-Hoc Sensor Networks (Saswat Misra, Lang Tong, and Anthony Ephremides). 11.3 SPR for MobileWireless Networks. 11.4 SPRf or Ad-Hoc Sensor Networks. 11.6 A Short Review of Basic Graph Theory. 12. Data-Centric and CooperativeMAC Protocols for Sensor Networks (Yao-Win Hong and Pramod K. Varshney). 12.2 Traditional Medium Access Control Protocols: Random Access and Deterministic Scheduling. 12.3 Energy Efficient MAC Protocols for Sensor Networks. 12.4 Data-Centric MAC Protocols for Sensor Networks. 12.5 Cooperative MAC Protocol for Independent Sources. 12.6 Cooperative MAC Protocol for Correlated Sensors. 13. Game Theoretic Activation and Transmission Scheduling in Unattended Ground Sensor Networks: A Correlated Equilibrium Approach (Vikram Krishnamurthy, Michael Maskery, and Minh Hanh Ngo). 13.2 Unattended Ground Sensor Network: Capabilities and Objectives. 13.3 Sensor Activation as the Correlated Equilibrium of a Noncooperative Game. 13.4 Energy Efficient Transmission Scheduling in UGSN - A Markov Decision Process Approach. 13.6 Discussion and Extensions .